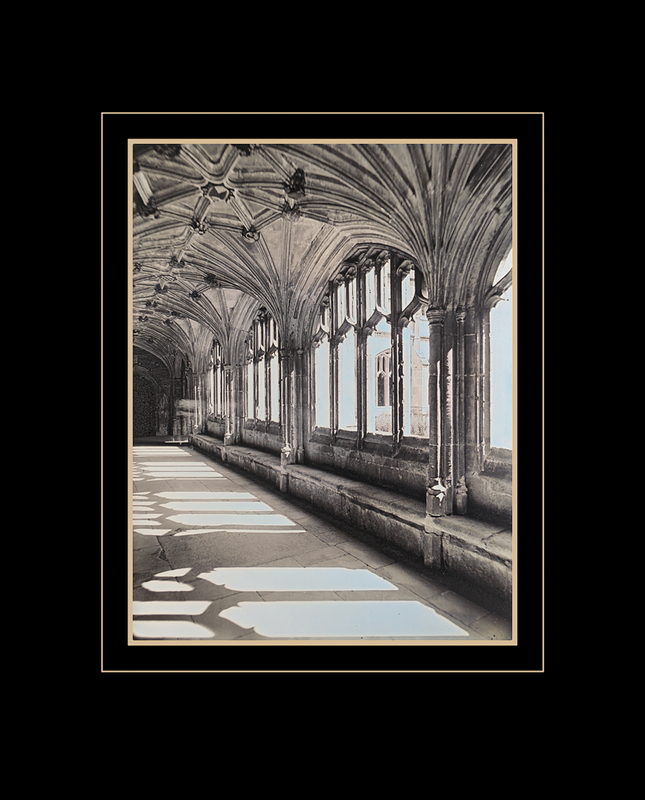 Mike Robinson is as a modern master of the first photographic art. A daguerreotype is a unique photographic object, essentially an edition of one. Mike's fine art work in the daguerreotype combines a classical sense of beauty with the high level of technical skill required for success in this medium which remains unsurpassed for its image quality and permanence. A daguerreotype in the making is an experience unlike any other type of photography. 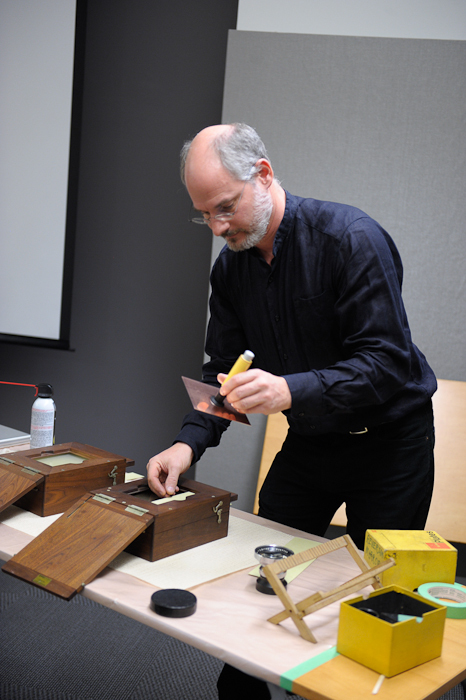 Mike has taught workshops all over the world with participants ranging from daguerreian practitioners, collectors, educators, historians, material culture scientists, curators and the curious. At its core, daguerreotypy is a problem solving process and few artistic pursuits rely as much on materials and apparatus for success. Century Darkroom equipment and supplies are designed to solve problems, made with the knowledge gained from over twenty years of practical experience. 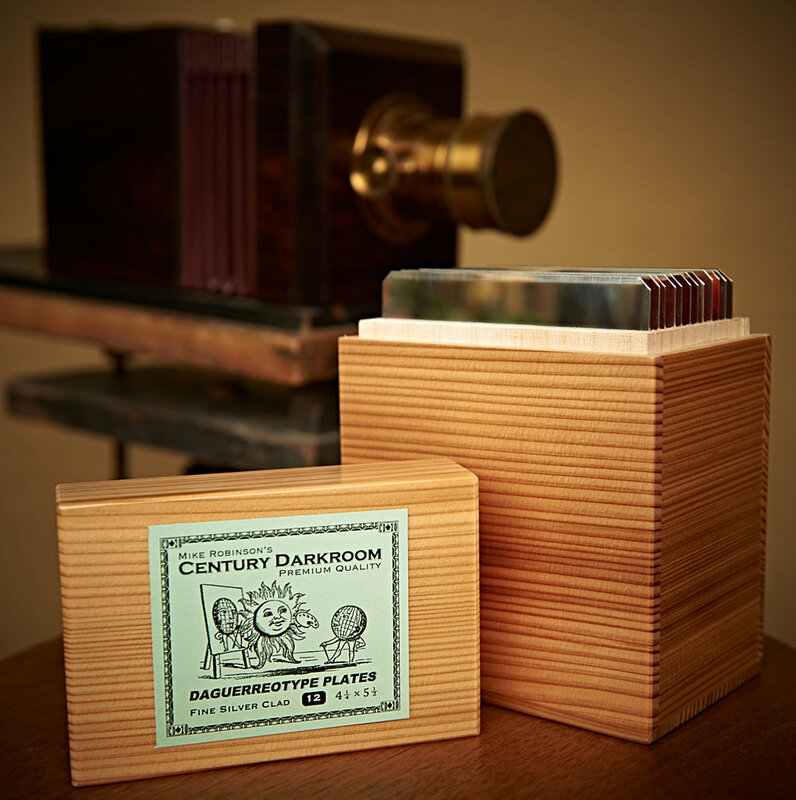 Century Darkroom products are the finest available for the daguerreian artist.